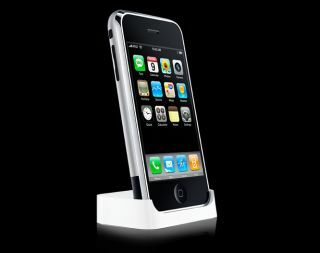 Tesco Mobile has announced that it will be stocking the iPhone 3GS from next week, from the 14 December. It's a slightly different price structure to the normal iPhone deals handed out by O2 and Orange. The new phone will be available on both PAYG and contract deals, with the price for the pre-pay version starting at £342 for the iPhone 3G 8GB version and heading up to £538 for the 32GB iteration of the 3GS. And on the contract side of things, a 12 month deal will cost you £20 per month, with 'unlimited' web and Wi-Fi. However, in a slightly different take on things, the iPhone 3G / 3GS will cost from £222 to £407 and give £60-worth of calls and texts. And if you want a 24 month deal, you'll pay £60 per month, get unlimited calls and texts per month but get a free iPhone 3G / iPhone 3GS 16GB, with customers paying £55 if they want the 32GB 3GS. And that's not all, supermarket-fans! You can also collect Double Clubcard points when you buy an iPhone 3G or 3GS ... and triple points for every £1 you spend on top-up or your monthly bill!